I just moved back to NM and started a business and in the last month had to setup all the Payroll taxes for my out-of-state LLC. When I first attempted to do that a few months ago it was a pain. However in March 2012 it was extremely easy. NM's site is completely automated and they sent me my CRS ID and Unemployment Number via email within about 10 minutes of completing the online forms. Plugged those into my payroll software and was off and running. Granted, knowing which tax I owed (of the dozens possible) was a bit of a pain and took some research. And I hope I did it all correctly. By comparison, the State of PA (where my first employee lives) took longer and required them to mail me my tax numbers versus doing everything online. Both were easier, faster, and more automated than getting my FEIN, though. The IRS required me to fax or snail mail paperwork. Here's a thought - If you want people to pay their taxes, make it as easy as possible for them to do so. 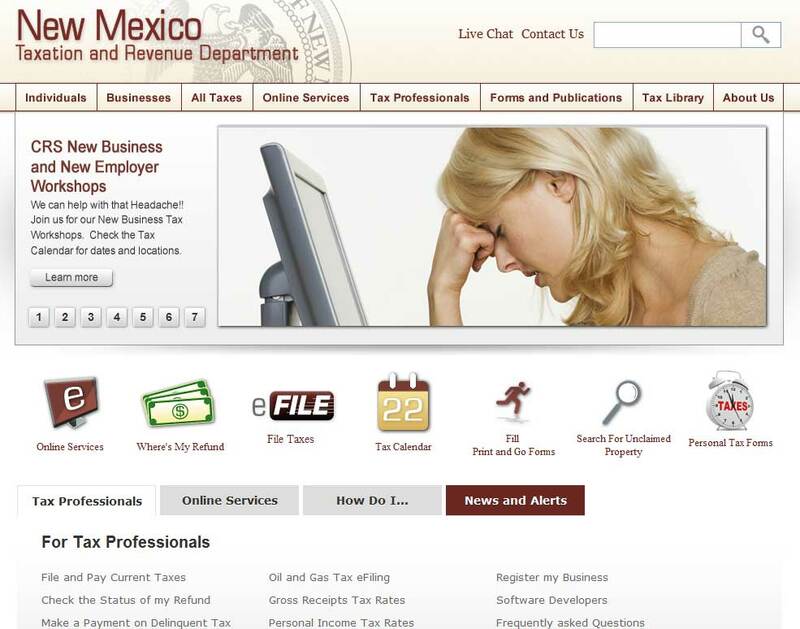 "If you want people to pay their taxes, make it as easy as possible for them to do so." 1. Looks like 2 terms of Gary Johnson's logic haven't completely worn off yet. 2. Tax codes so complex we can't hope to comply are a feature, not a bug. Making everyone a potential criminal living in fear of government keeps the peasantry in line.